I’ve spent the last few weeks studying and thinking on several things. One of those is my one word for 2014, serve. One of the first things I did was update my daily to do list. 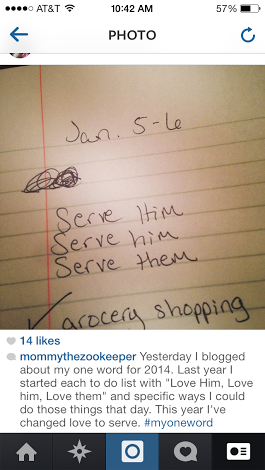 Then I started looking at different ways I could serve God, my husband, my children, and others each day. After filling a few pages in my notebook, I figured it would be good to share some of my thoughts and what I’m learning over here. I’ll start with sharing some ideas about and ways for us wives to serve our husbands. This will be part one of a series. The most important way wives can serve their husbands is to pray for them. Pray, pray, pray, and pray some more. Every day. Pray for wisdom. Pray for courage. Pray for patience. Pray for endurance. Pray for strength. Pray for contentment. Pray for whatever the Lord lays on your heart for him. Before going any further, I’d like you to know I’m not perfect at it! I thank God for the man I married pretty much every single day. He’s amazing, and I see daily what a blessing he is to my life. However, I tend to forget that he needs daily prayer for the everyday things he deals with, until something comes up anyway. I actually wrote it on my to do list today to be sure I didn’t let the day slip away without taking my wonderful husband to the Father and at least praying for his safety and for him to be granted wisdom and courage. Between the everyday prayers, do pray for him through the big stuff too. God is more productive with us through prayer than we ever will be on our own. Also, pray for yourself as his wife. Don’t be afraid to ask God to transform you into the wife he needs you to be. 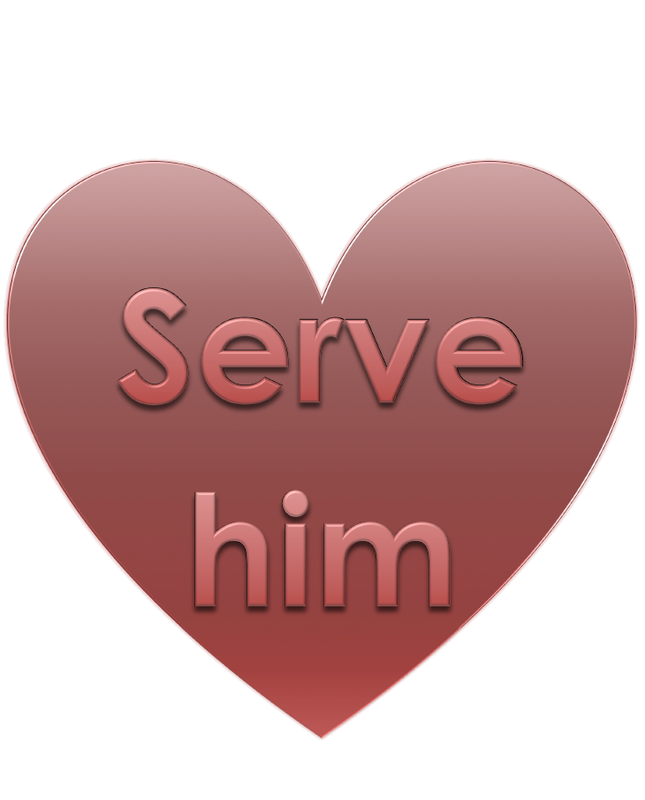 What a better way to serve your husband than by allowing God to refine and change your heart? We always have room for growth and refinement. It’s not always fun, but it is well worth it. I agree with this post completely! One of the best ways to love & serve our husband is by praying for them! I love your to-do list idea as well!